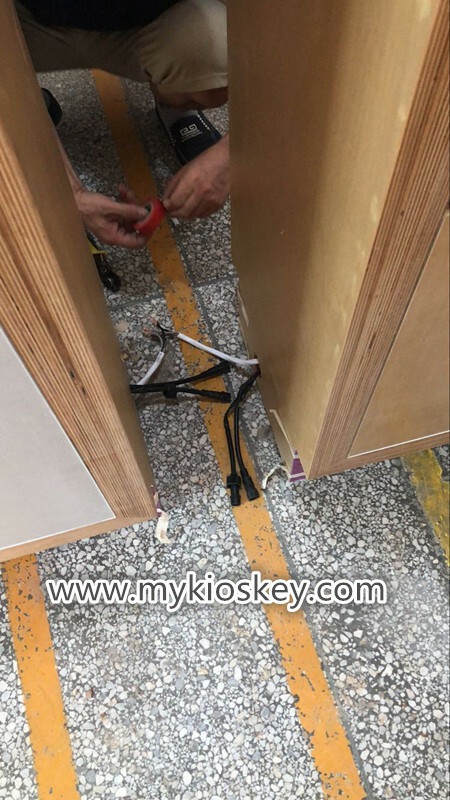 How to assemble the kiosk?Is the assemble complicated?This is a question many customers will ask. Not only will have extral cost,also will be a trouble for them. So today i want tell all of you:No need worry for assemble,it is very easy! Here i want show you how we assemble a mall kiosk,you will understand. 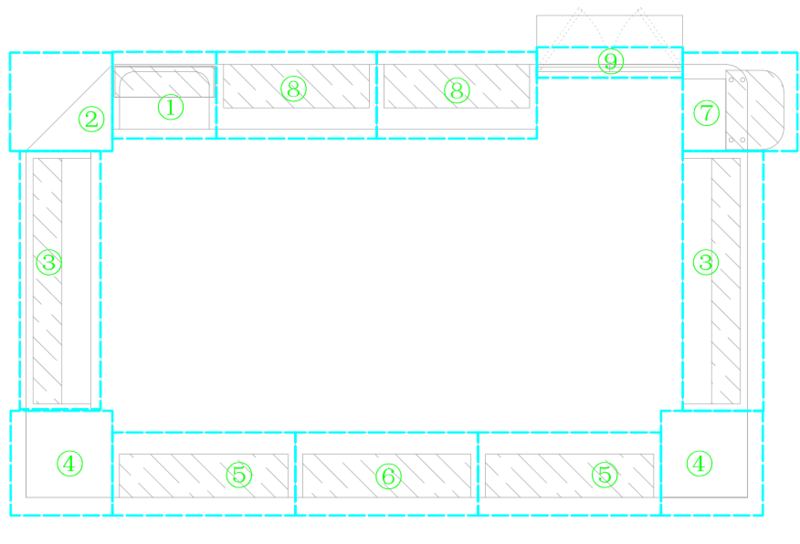 In our production drawing,we will have a split drawing,it will show whole kiosk will devided how many sections and how it will be devided.And will number each section with 1,2,3,4.. etc as you seen. So when produce the mall kiosk,we will follow this to devide kiosk into many sections considering easy transport and move. 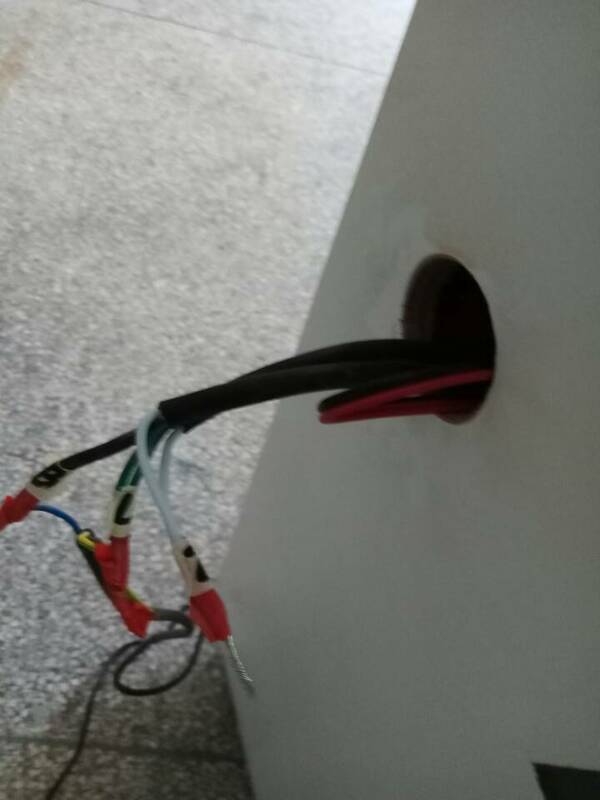 Before we start production,the workers will check the circuit carefully,where need use power,where have machines,where will have sockets,where is the main electricial box…when make wood body,the electrician will follow drawing go wires inside in advance. 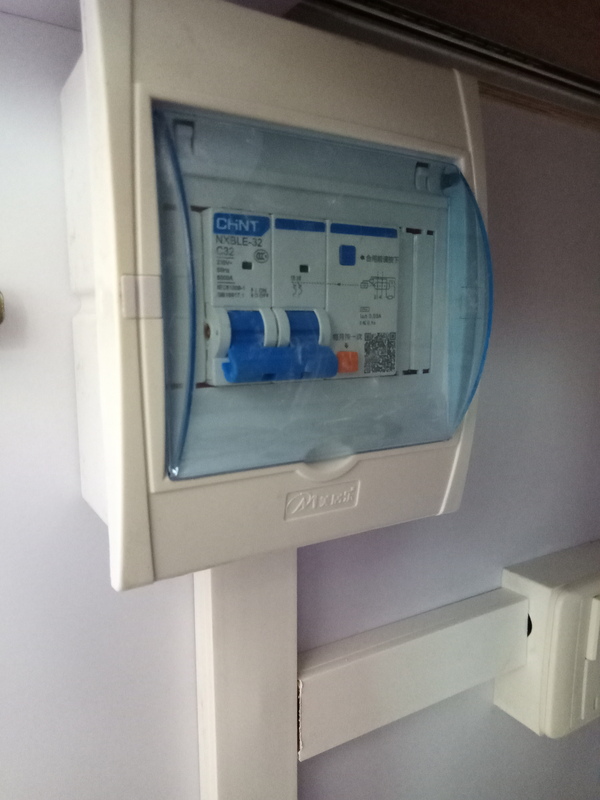 1）each kiosk we will install an electricity box,it has many switches,these switches are used to control lights,sockets,logos,signatures etc.you can use the electricity box to control whole kiosk power. you can see at each part bottom we will cut a hole,wires will comes from it.After you put these parts in right position,you need connect the wires between each part together. wire),green is Live wire,black is Earth wire. after finished electricity,we will install glass,fix logos and signatures.For lgihts,most used is led light strips and spot lights. 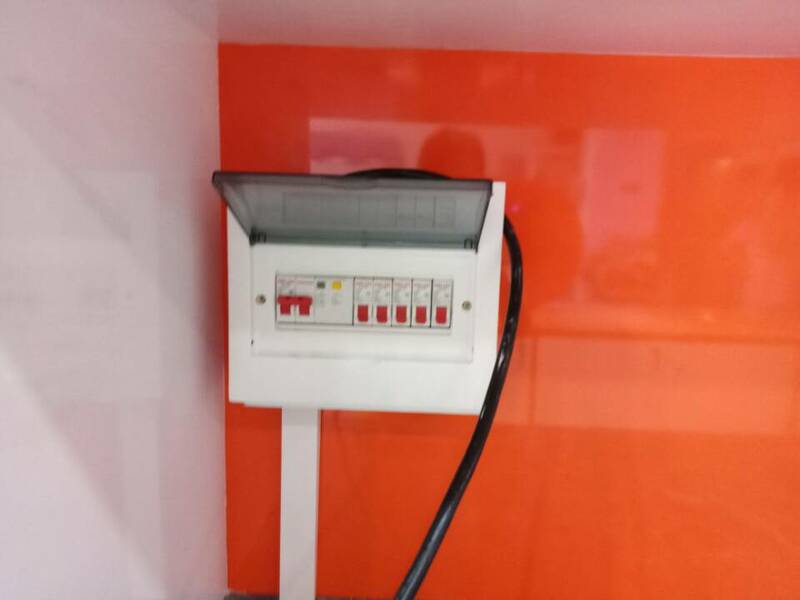 some salon kiosks and food kiosks will also use chandeliers and beauty lights.So when you received kiosk,just need connect power then can use.Very converient. One kiosk will have many cabinets and drawers for storage,we will install the cabinets and drawers,add locks and keys. So you can see,before shipping we will assemble the all items,just considering shipping,will need devide the kiosk into several pieces. 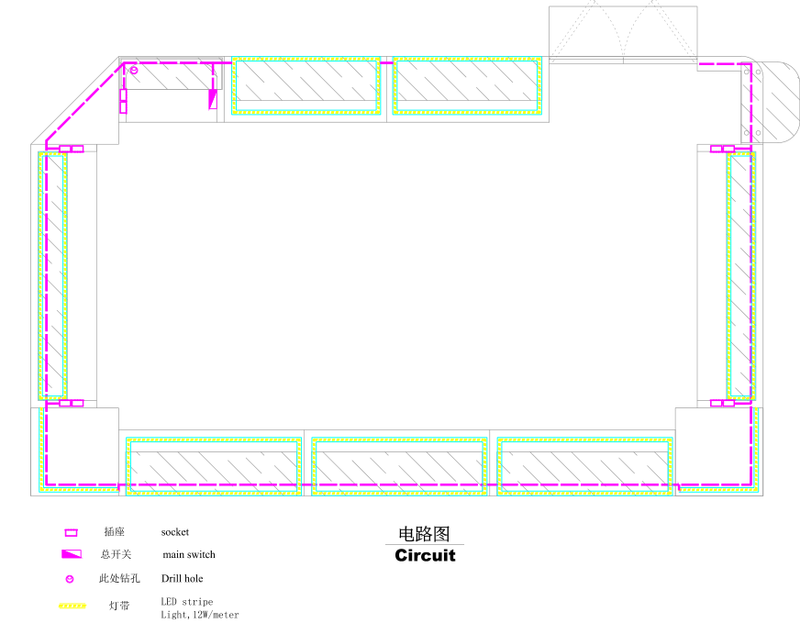 we will do a detail guideline send you,you can follow that assemble your kiosk,it is not complicated at all. If you want do a mall kiosk,no need worry about assemble,just feel free contact us if you have any needs!